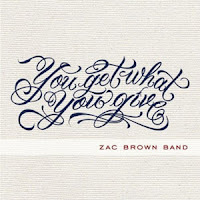 CD Review: Zac Brown Band Gets "What You Give"
The Zac Brown Band has returned with a new album entitled “You Get What You Give.” It is the follow-up to their platinum selling debut album "The Foundation." “The Foundation” garnished 5 singles including 2 "Top 10” singles and a Grammy nomination for “Best Country Album.” So you may ask, how do you follow-up on the success of such an album. Well, the answers easy…make a better, stronger more complete album which is exactly what “You Get What You Give” is. The album debuted at #1 on the Billboard album back in September and is on route to match the success of their debut album. 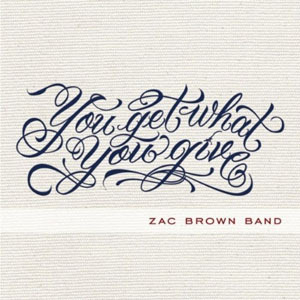 The band has six dates scheduled, including a New Year’s Eve show at the Philips Arena in Atlanta, GA. For a complete list of tour dates and information, visit zacbrownband.com. CD Review: 20 Years for Pantera's "Cowboys From Hell"
Heavy metal band Pantera has just released a 20th Anniversary edition of their breakthrough album “Cowboys From Hell.” The album is considered one of the most influential heavy metal albums of all-time. 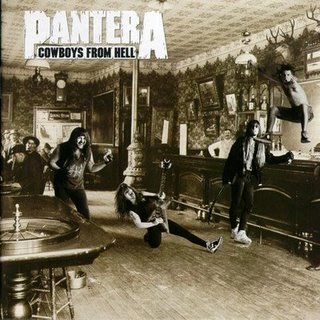 The original 12-track album gets digitally remastered and you hear all the outstanding guitars by the late Dimebag Darrell, as well as the powerful drumming of Vinnie Paul. Philip Anselmo’s vocals and Rex’s bass also benefit from the clarity of these songs. But, that’s not only reason to buy this new release. The second CD is made-up of two live appearances around the time of the original album’s release. 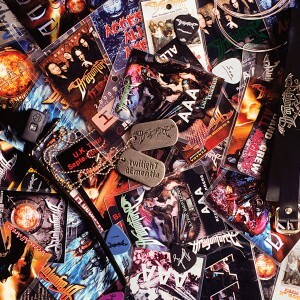 The first 7 songs are recorded live at the Foundation Forum Metal Convention in 1990. It features a Pantera band hungry to prove why they should be considered one of the best heavy metal acts in music. The last five songs on the disc are from the Monsters in Moscow music festival in 1991. The band performed along side the likes of Metallica and AC/DC and held their own with these other heavy rock giants. There is even a 3CD set which also includes a CD of demos that were recorded for the album, as you hear the songs go from glam metal to hard and heavy hitters. The album is available is available now in 3 different versions (single CD – album only, double CD – original album/live album, triple CD set – original album/live album/demos). Lead singer Phil Anselmo is appearing on the October 30th episode of VH1 Classic’s That Metal Show and has also been featured on the cover of Decibel magazine. Visit the band website (pantera.com) for up-to-date information from the band. 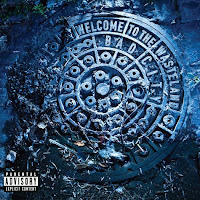 CD Review: Bad City Welcomes You To The "Wasteland"
Chicago rockers, Bad City, have released their debut album entitled "Welcome To The Wasteland." The album was released in August on Atlantic Records and entered the Billboard Top 200 album chart at #182 and the Hard Rock album chart at #22. 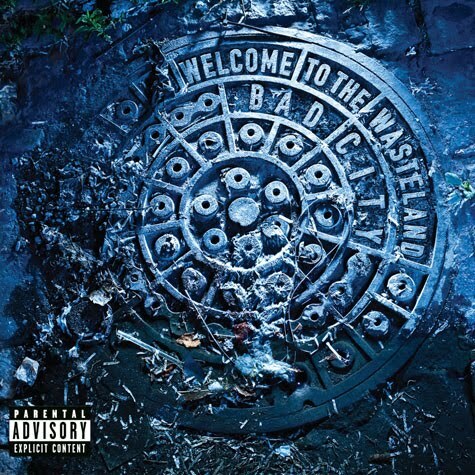 Bad City has also received praise from Kiss' Paul Stanley and Smashing Pumpkins' Billy Corgan. The group combines the hard rock vocals from the late '80's hair bands with a modern rock sound. The album starts with the intense "Showdown In Central Park" as the energy just gets carried through the rest of the album. Josh Caddy flexes his vocals in "Take Me For A Ride." The Queen-style vocals in "Do You Believe In Rock N Roll" gets a jolt of power from the pounding drums and wailing guitars. "Wildlife" carries a great sound that just gets stuck in your head and you can't help but sing along. Bad City does slow down with the power ballad "Fire In The Pouring Rain" before bringing back the fire with "Heatwave" and "Straight To The Grave." Bad City just finished a tour with Slash, look for future dates on the band's website badcitymusic.com. The band's new album is available now. CD Review: Genuine Imitations Tries Channeling "Pink Floyyd"
New York band, Genuine Imitations, have just released their new album of original songs entitled "Pink Floyyd Dark Side of the Mooon." The band's sound could be considered experimental punk. The band seems to have fun performing in the songs "How Ya Doin' G.I. Dave?" and "Borrow Yr Radio." Their sound is very different from mainstream rock radio, but that's what makes them stand out. The album has a very raw, almost demo sound as most of the album's 8 songs clock in under the 2 minute mark. "Link's Journey" which happens to be the album's longest song, is also the most interesting. The steady beat and voiceovers keeps you focused on what the song is trying to say. Genuine Imitations have a show at Don Pedro's in Brooklyn, NY on November 7. 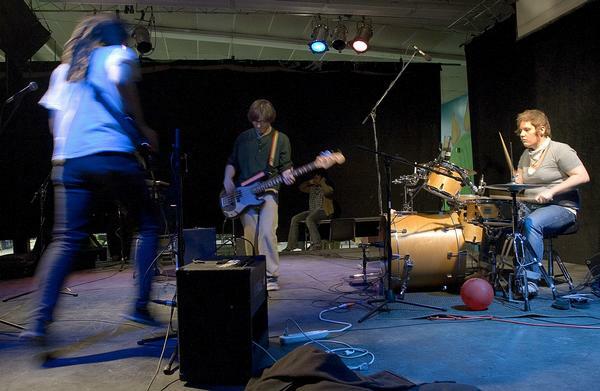 For more information on the underground punk/rock band, please visit www.myspace.com/genuineimitations. At the end of this tour, which will conclude in December, The Black Crowes will be taking an indefinite hiatus from music as a complete group. So, Tuesday night's show at The Palace Theater in Waterbury reflected "The Last Waltz", the famous concert performed by the members of The Band before calling it quits at the height of their popularity. It can be argued that The Black Crowes are currently on a creative high. While their last two albums did little on the music charts, they displayed some of the best Southern Rock/Americana music to be heard in a long time, maybe even since The Band. 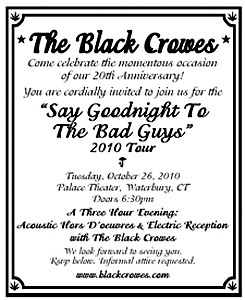 The evening was billed as the "Say Goodnight To The Bad Guys" 2010 tour, consisting of "Acoustic Hor D’oeuvres followed by an Electric Reception with the Black Crowes." The band tried to fit 20 years and 8 albums' worth of material into 3 hours and did a masterful attempt at it. Beginning just after the 7:30 start time, The Black Crowes stepped through a door located at the back of the stage. Each band member took up residence at what seemed like their own cubicles which featured each member's individual amps and equipment. The mostly acoustic first set began with the aptly titled "Welcome To The Good Times." The evening's first 90 minute set belonged to slide-guitar guru Luther Dickinson. His fret work on "Morning Song" and "Wiser Time" was nothing short of spectacular. Black Crowes co-founder and guitarist Rich Robinson took the lead vocals on two of the evening's songs, the first being the "What Is Home" from the Crowes latest studio release "Before The Frost...Until The Freeze." Lead singer and fellow co-founder of the Black Crowes Chris Robinson performed a relaxing cover of David Wiffin's "Lost My Driving Wheel." The band came together like a well-oiled machine to finish the first set with their hits "Jealous Again" and "Remedy." After a short intermission, The Crowes returned to the stage plugged in and ready to blow the roof off The Palace Theater. The volume was raised as the first chords of "Been A Long Time (Waiting On Love)" rang from Rich Robinson's guitar. The highlight of the second set was a twenty-plus minute version of the hit "Thorn In My Pride." It featured a drum solo from Steve Gorman and a blues jam lead by Chris Robinson on harmonica. The Black Crowes searched for their inner Grateful Dead on the psychedelic/space jam of "Non-Fiction," but returned to earth for the crowd pleaser "She Talks To Angels." The band finished their set with the audience sing-along "Hard To Handle." The Crowes returned for a very quick version of "Thick N' Thin" from their debut album. A 10:30 pm curfew seemed to be the cause for the early exit. The evening was a fitting end for a band that began as a cover band performing the songs from the 1970s-era of blues rock. Hopefully, their hiatus will be short, as the music world looks for another band to fill the void left by The Black Crowes. 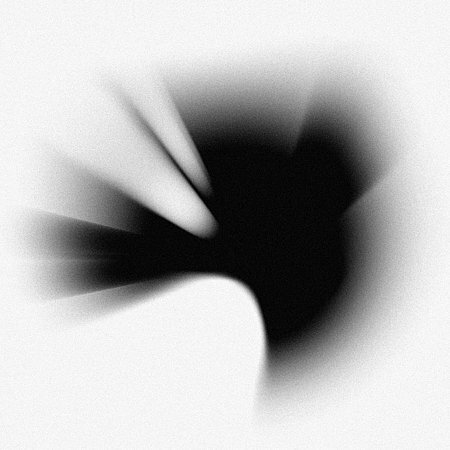 Nu Metal masters Linkin Park return with their fourth studio album "A Thousand Suns." Released on September 14 through Warner Bros. Records, the album debut at #1 on Billboard's album chart. The album is more edgier than their last release "Minutes To Midnight," but the album does carry a more manufactured back-beat than what drummer Rob Bourdon provides. The concept of nuclear war is present throughout the album's 15 tracks. The album begins with a gentle flow of keyboards and voices praying for help, before the voice of J. Robert Oppenheimer darkens the album's theme. "Burning In The Skies" and "Waiting For The End" sound like a club songs with their dance beats and pop vocals. Linkin Park travel back to their roots with the hip-hop/rock sounds of "When They Come For Me" and "Wretches And Kings." The albums carries a few musical interludes that tie the album's theme of nuclear warfare with famous quotes announced over flowing soundscapes. The album's strongest song is the album's first single "The Catalyst" as the band combines its tech-no beats with hard rock lyrics. Produced by Rick Rubin and lead singer Mike Shinoda, the album shows the band's maturity growing in the song structures. Linkin Park are currently on tour overseas. For more information on their new album, visit linkinpark.com. 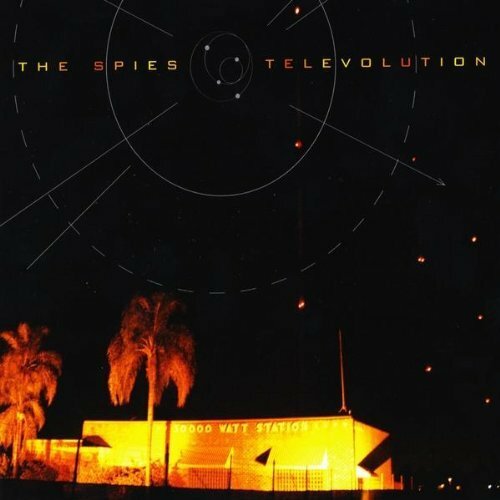 CD Review: The Spies Bring On "Televolution"
Indie, pop-rock band The Spies are building a solid fan base with their two self-released albums (Old Ghosts and Televolution), touring and product placement in film and television. With a five year history behind them, The Spies are looking to grow on their sophomore release "Televolution." The maturity in the band's song writing shines on the album's title song "Televolution" which carries a progressive rock, almost atmospheric vibe. The album's safe-zone is the Elvis Costello sounding "National Pastime" and the funky "You Got Some Nerve." The passion is felt in "Broad And Shade" while their pop sound finds a home in "Modern Oceans." The band experiments a little more with their sound in "Lavender" before closing with another Costello clone "It Comes In Waves." The Spies have only one show scheduled in mid-November. Visit the band's website wearethespies.com for more information on this up-and-coming indie rock band. CD Review: Disalto Return With "One Beacon"
LA band Disalto released their full-length sophomore effort this summer and critics are finally realizing what this band has to offer. The new album entitled "One Beacon In The Strand" is full of hard rock riffs provided by brothers Joe and David Friedman (bass and guitar, respectively). The album seems like a perfect combination of their influences, A Perfect Circle and Radiohead. Pounding drums and screaming guitars gets lifted by singer Dana Cordero in the album's opener "The Arrival." The band's energy is displayed throughout the album. The mainstream rockers "Sooner or Later" and "Paint The Sky" show us what their talents have to offer us. 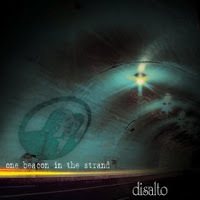 Disalto turns up the volume on "Precious Flaw" with screaming vocals and "in your face" lyrics on how nobody's perfect. Disalto has one scheduled for the 26th of October in Glendale, CA. Look for updates on the band's website disalto.com. Serj Tankian, lead singer and songwriter for hard rockers System Of A Down, recently released his second solo album entitled "Imperfect Harmonies." The album was released in September on Serjical Strike Records in conjunction with Reprise Records. The sound of the album's lead single "Borders Are..." finds Serj using an orchestra in place of his normal System Of A Down-type musicians. While the lyrics are enticing, his vocals don't work as well with violins as they do with guitars. The album flows between pop songs like "Deserving?" that gets a dance-beat thrown behind it and rockers "Electron." Serj Tankian does experiment with sounds throughout this album. "Gate 21" puts Serj's vocals up against a string quartet and just never seems to make an impact. The piano and vocals in "Yes, It's Genocide" is a better collaboration. The closest Serj comes to his System Of A Down sound is in "Left of Center." Those expecting a hard-hitting System Of A Down album will need to wait a bit longer while Serj extends his song-writing skills on this latest release. Serj Tankian's fall tour has been postponed until further notice. 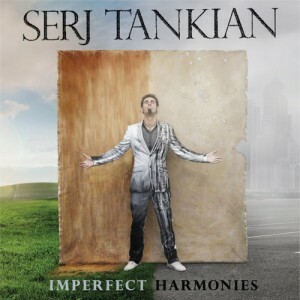 Check back to serjtankian.com for news and updates. 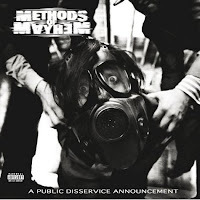 CD Review: Methods Of Mayhem Make An "Announcement"
After a 10 year wait, Motley Crue's drummer Tommy Lee returns with a new Methods of Mayhem album. Released in September on Roadrunner/Loud & Proud Records, "A Public Disservice Announcement" is a very different sort of album than Motley Crue fans are used to. The songs sways between dance-hall club beats and hard rock moshing. The album's first single "Time Bomb" is a great rock song with pounding drums, buzzing guitars and sing-along lyrics. "Louder" runs along the same vein as "Time Bomb," but then the album takes a turn for the harder edged fans. "Fight Song" and "2 Ways" gets more metal into the songs' overall sound. Then the album takes another turn with the dance pop sounds of "All I Wanna Do" and "Party Instructions." This album certainly covers all different music that Tommy Lee is influenced by, but the lack of consistency in the album takes away from some of the album's stronger songs. Tommy Lee has some dates booked with DJ Aero at the end of October. Tommy Lee is also on the cover of this month's issue of DRUM! Magazine. For more on Tommy Lee and the new Methods of Mayhem album, visit tommylee.com. CD Review: Chromeo Is All "Business"
Chromeo's third album "Business Casual" finds the funk brothers, Dave 1 and P-Thugg bringing back the 1980's pop heyday with synthesizers and voice changers. The album was released back in September and the song "Don't Turn The Lights On" is featured in the FIFA 2011 video game. The 80's coming roaring back on the album's opener "Hot Mess" and just continues throughout the album. Drum machines, synthesizers, dance beats and voice changers are what drive the songs "Night by Night" and "The Right Type." The addition of Solange Knowles' vocals on "When The Night Falls" gives the song a more balanced sound to Dave 1's singing. The album closes with the up-tempo "Grow Up", which has Chromeo throwing everything into their music. Chromeo will finish the month with a show in Chicago before heading overseas for the rest of the year. "Business Casual" was released through Atlantic Records and a deluxe edition of the album is available through iTunes. 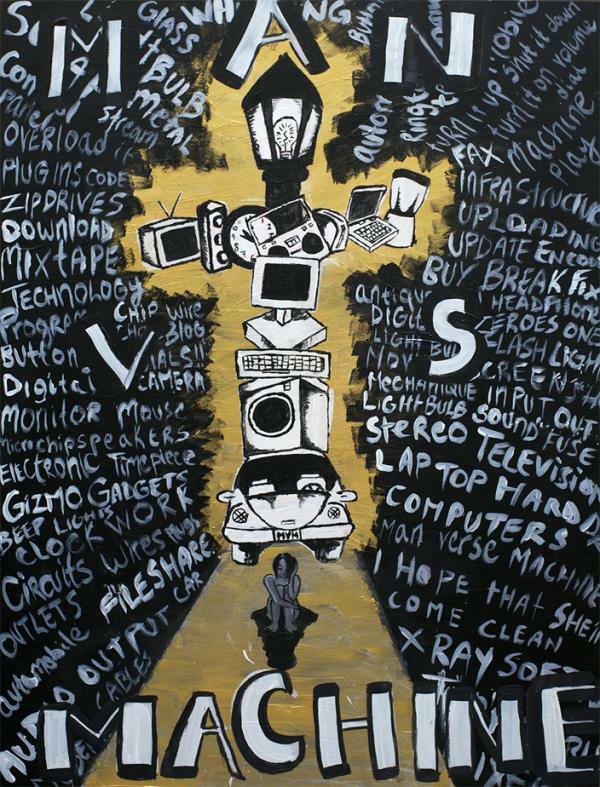 For more information on Chromeo's tour and new album, visit chromeo.net. 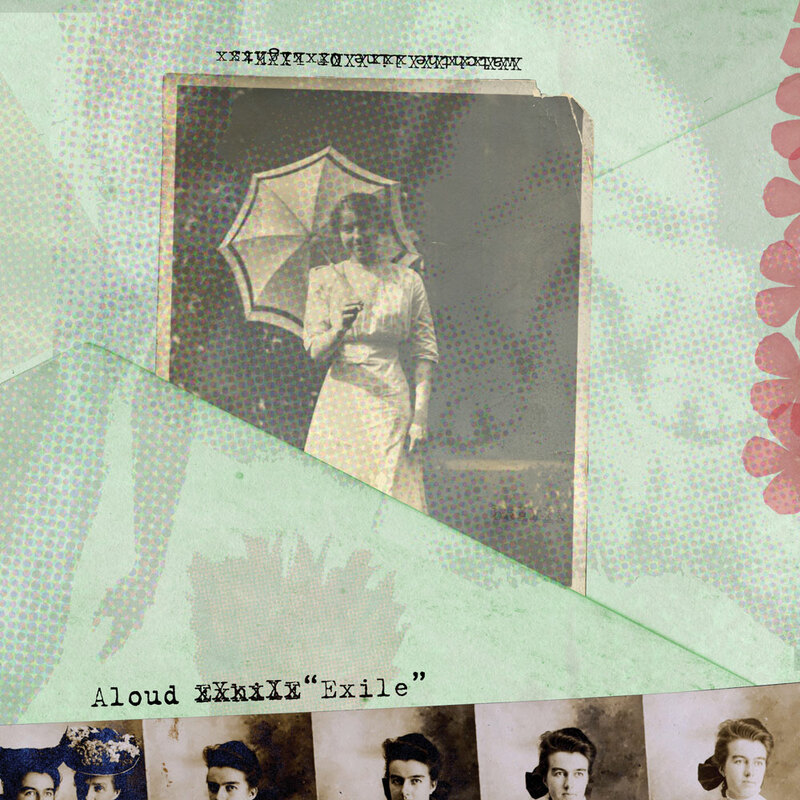 CD Review: Boston's Aloud Brings Us To "Exile"
Boston band, Aloud return with their third indie release entitled "Exile." The new album expands the band's sound as bandleaders Henry Beguiristain and Jen de la Osa add a more mature, sophisticated sound on this latest release. The slow build of "Burning Bright" displays how Aloud's new approach doesn't try to push the music onto you, but gradually build the song's structure. Jen's vocals become the main focus on the slow-jaunt of "Broken Hearts" and the pulsating beat of "A Light That Shines." Jen and Henry take turns singing lead vocals, but when their voices mesh on "Old Solider," you feel the chemistry between the two. The up-tempo beat of "Counterfeit Star" gives the listener a much needed break from the melodic-filled melodies that make up most of the album's sound. "The Urgent Letter" is another song that stands-out vocally and shows the band's mature song-writing. Aloud will begin their 50-date tour this weekend with a pair of CMJ Music Marathon shows in New York. Their new album was released on Lemon Merchant Records and is available through the band's website allthingsaloud.com. 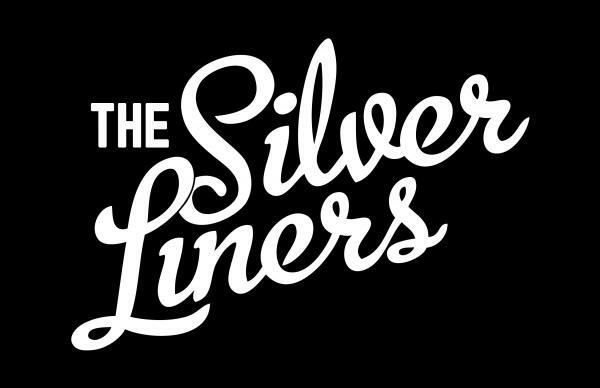 CD Review: The Silver Liners' EP "Just Like The Rest"
The Silver Liners are a five-piece band from Washington D.C. that are beginning to make a name for themselves along the east coast. They've been featured on Washington D.C.'s biggest rock radio station (DC101) and received rave reviews of their live shows. Now The Silver Liners have a 7-song EP out entitled "Just Like The Rest." The album's title song, also the first single released, begins with a simple bass line that gets carried into a modern rocker with some Steve Miller-type vocals. Silver Liners raise the tempo even more with the pop-punk drumbeat and sing-along chorus of "Heard It From A Friend." The band hits their pop stride with "Without A Face" and "Technicolor." The EP finishes strong with "Cheer Up Alex" and "Like Clay" which both carry a Kings of Leon style sound to the songs. The Silver Liners have a few shows lined up in November. They currently have a video for the song Just Like The Rest. For a complete list of shows and album information, visit thesilverliners.com. 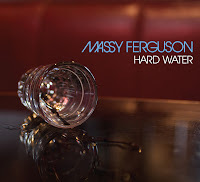 CD Review: Massy Ferguson Drinks "Hard Water"
Massy Ferguson, from Seattle, WA, will release their sophomore album "Hard Water" on October 19 through Spark & Shine Records. The band has become a fixture in the Seattle rock scene as well as opening for nationally known acts as Son Volt, Fastball and Bill Kreutzmann of the Grateful Dead. Their new album is looking to make an impact on the east coast as well as on the west coast. "Hard Water" begins strong with the rocker "Long Time." The songs carry an almost southern rock/americana flair with lyrics that are hard to resist as displayed in "Pretty Plain Jane" and "Sparks and Shrapnel." The band's passion shines through on the storytelling "Freedom County" while the gentleness of "Dreams of St. Peterburg" is also a welcome addition to this mostly good-time guitar rock album. 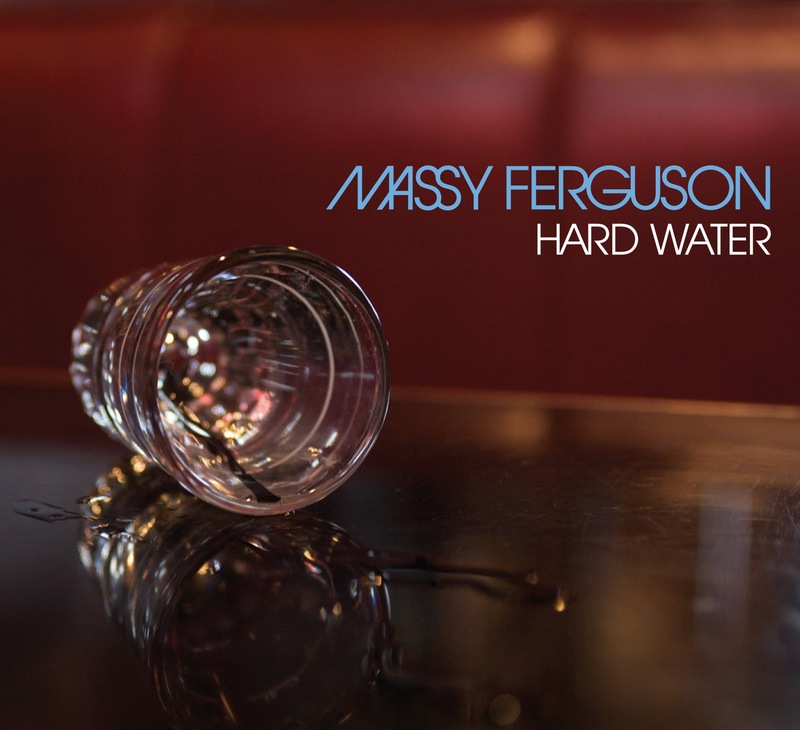 Massy Ferguson is already performing dates in the Washington state area for the next couple of months. For more information, please visit their website www.myspace.com/massygeruson. The rock, blues and soul of the south is captured in the new release by JJ Grey & Mofro. 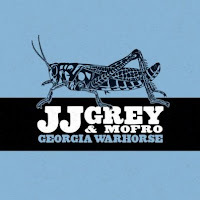 "Georgia Warhorse" was released back in August on Alligator Records. The album's overall sound flashes between, the southern swamp rock heard in "Diyo Dayo" and the gentle blues of "King Hummingbird." The groove on "The Sweetest Thing" gets a magical touch supplied by the legendary Toots Hibbert. The combination of Hibbert's and Grey's vocals give the song an edgier blues sound. The tempo gets lifted in "All" with a Black Crowes-style stomp and the album's title song returns us to blues of the south. "Gotta Know" is a slow building song, beginning with a duet between piano and guitar before finishing with the whole band joining in as Grey pulls off a young Joe Cocker-type vocals. The ballad of "Beautiful World" is the most accessible song on the album with it's simple beat and positive lyrics. The album finishes with a "Lullaby" JJ Grey style with some sweet slide-guitar provided by Derek Trucks. JJ Grey & Mofro are currently on tour and will be making their way east in November, performing in New England around the Thanksgiving holiday. Visit jjgrey.com for a complete list of tour dates and album information. Halloween came early to Connecticut as legend Alice Cooper and Rob Zombie took the stage Friday night at the Mohegan Sun Arena. Cooper, who was recently nominated for the Rock n Roll Hall Of Fame, returned to the state after only one year since his last visit. But, most were there to see the energy and creativity of music and movie mogul Rob Zombie. Their tour, dubbed the Halloween Hootenanny, was a pulp, horror movie come to life and many dressed in black for the occasion. The chant chorus of “I’m Eighteen” for the encore seemed to fit the general admission floor crowd’s age and demeanor. Cooper finished his 80 minute set with a reprise of “School’s Out” for those that may have missed the beginning of his show. Rob Zombie, savior of the modern horror movie, was the night’s second-half of the double-bill. Zombie did a great job mixing songs from his newest release, 2010’s “Hillbilly Deluxe 2” with some of his classic solo hits “Living Dead Girl” and “Superbeast.” Giant 12 foot monsters, robots and demons crowded the stage for whatever the song called for as Zombie, guitarist John 5 and bassist Piggy D played along. Security was overprotective of the young crowd as mosh pits broke out for the White Zombie hits “More Human Than Human” and “Thunder Kiss ’65.” During John 5’s guitar solo, Rob Zombie ran frantically through the lower section seats with a spotlight, even visiting yours truly before heading back to finish his set. The evening began with a 30 minutes set from the rising Goth-rock band Murderdolls. Their hard rock/punk music and shout-back style lyrics got the energy flowing early for Alice Cooper and Rob Zombie. 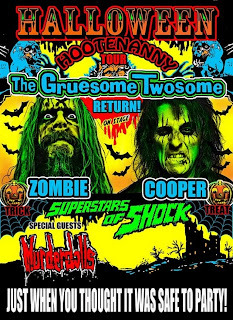 The Gruesome Twosome Tour certainly lived up to its billing as two of the masters of shock-rock brought out the festiveness of Halloween to Connecticut a little earlier this year. 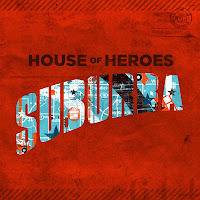 CD Review: House of Heroes Visits "Suburba"
Alternative rockers House of Heroes are back with their fourth album entitled "Suburba." The album was released on Gotee Records back in August where it entered the Billboard album charts at #48, a new high for the band. The new album grows on House of Heroes' blend of alternative rock sound with strong positive lyrics. The album begins with the late 70's-style synthesizer heavy rocker "Relentless." While the band does not consider themselves a Christian Rock band, their strong Christian beliefs and lyrics in songs like "Love Is For The Middle Class" and "God Save The Foolish Kings" give them a moniker they can live with. The ballad "Salt In The Sea" finds the powerful harmonizing between band members that gives the song its strength. "Disappear" finds the band stretching their alternative rock sound. "Suburba" finishes strong with the positive song of hope in "Constant" and a song of faith in "Burn Me Down." House of Heroes currently have dates scheduled at the end of October and beginning of November out on the west coast. For a complete list of tour dates and album information, please visit thehouseofheroes.com. 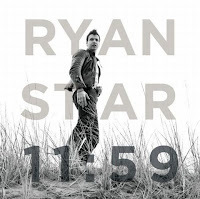 Singer-songwriter Ryan Star returns with his fourth album "11:59." Released in August, the album entered the Billboard album chart at #31, his highest chart debut so far. The album begins with the pop-rock dance beat of "Brand New Day" as Ryan wants you to believe his album is a new beginning for his music. The album's first singles "Breathe" and "Start A Fire" displays the passion Ryan has for his songs. The pop sounds and rock star vocals play perfectly to today's radio audience. Ryan Star balances the upbeat tempo of the album's beginning with the ballads "We Might Fall" and "Losing Your Memory." 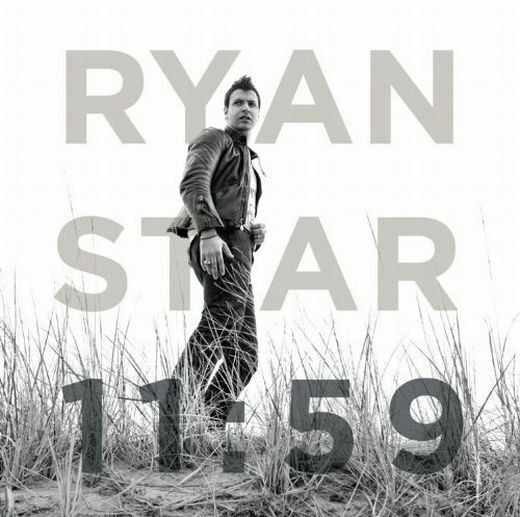 The album closes with the strong, powerful vocals of "11:59," which Ryan tries to portray his passion for singing and song-writing. Ryan Star has only one show lined up for Thanksgiving weekend at Webster Hall in New York. His new album "11:59" is available now on Atlantic Records. For more information, please visit rstar.net. Singer/songwriter Vinnie Ferra just released his debut album "Man vs. Machine" in July and sold over 2,000 downloads in it first two weeks. The simpleness of Vinnie's song-writing shines on this album with only the slightest touch in instrumentation. Vinnie comes on gentle, but powerful in the album opener "Bad For Business." His voice soars over acoustics and strings. The rest of the album follows suit, with subtle instruments to compliment Vinnie's warming voice. His lyrics become the focus on the songs "It Hurt To Be Hard" and "Candle Light." The harmonizing in "Who Do You You Love" is exceptional as the album's first single "Man vs. Machine" pulls all the elements together for the most mainstream song on the album. Vinnie Ferra is beginning a month-long tour at the end of October. Visit Vinnie's website vinnieferra.com for a complete list of tour dates and album information. 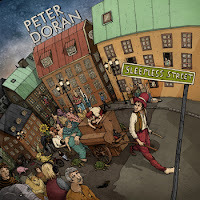 CD Review: Ireland's Peter Doran Found On "Sleepless Street"
Irish import Peter Doran has a new album entitled "Sleepless Street." Released back in July, Peter brings a gentle touch to his folk rock sound. His voice is a soothing welcome in "Sacred Place," while "The Composer" displays a deeper tone. Peter's playful lyrics in "Steeped In You" fit perfectly into his acoustic strumming storytelling. Peter Doran is finishing the month of October performing throughout Ireland with a performance on October 28 in his hometown of Dublin. For more information on Peter Doran's new album and upcoming shows, please visit peterdoran.com. 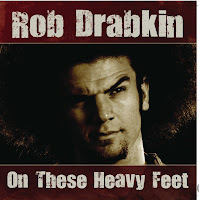 CD Review: Rob Drabkin Standing On "Heavy Feet"
Singer/songwriter Rob Drabkin is a stand-out in the musical community for two reasons, one is his Sideshow Bob hairstyle. The other reason is his ability to mesh his storytelling lyrics with catchy rhythms. Rob's latest release "On These Heavy Feet" shows us a maturity to his song-writing. The use of strings to introduce us to his acoustic guitar is a nice transition as Rob performs his best Dave Matthews impression on "Rise At Sea." Rob expands his gentle sound with the up-tempo shuffle of "Girl From Country Floors" and the keyboard-heavy "Little Steps." Rob lyrics and music flow together perfectly in "She Comes and Goes" and "Stay Here With You." 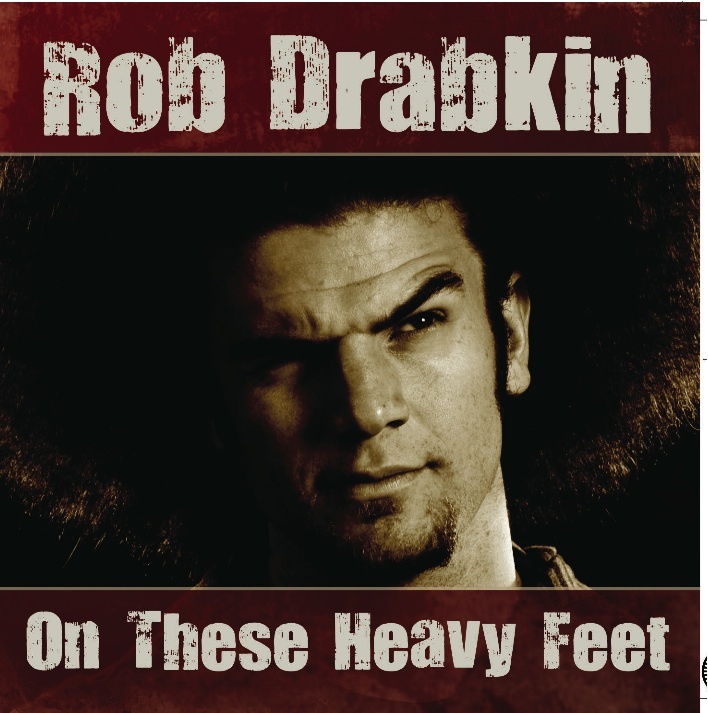 Rob Drabkin is headlining a show on November 19 in his home state of Colorado at the Road 34. Also, visit Rob's website (robdrabkin.com) for an acoustic version of the Allman Brothers Band classic "Melissa" performed with Davy Knowles. CD Review: The Doctor Is In! Marshall Lawrence, the so-called "Doctor of the Blues," has released a new album entitled "Blues Intervention." His acoustic guitar and harmonica are all he needs to portray the blues on his new release. One thing that stands out right from the opening track, "So Long Rosalee," is how smooth his voice travels throughout the song. It doesn't distract, but you almost expect a raspier tone to feel the blues. Marshall Lawrence controls the mood of "Lay Down My Sorrow" with his guitar and deep vocals and shows us a darker side to his blues. He seems playful with his approach to his songs "If I Had A Nickel" and "Going Down To Louisiana." Marshall also introduces us to his "dirty blues" on the songs "Detroit 'Motor City' Blues" and "Love Like Heroin." The album finishes strong with a couple of cover songs. First is the quick guitar strumming of "Walking Blues," then the story-telling blues of "Going Down The Road Feeling Bad." 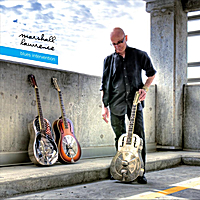 Look for Marshall Lawrence's new album as well as some of his past releases on iTunes and CDBaby. For more on this "Doctor of the Blues," visit www.doctorblues.com for shows, videos and more. 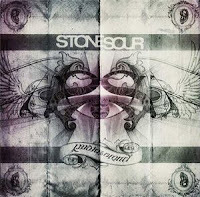 CD Review: Stone Sour Rocks Through "Audio Secrecy"
American rockers Stone Sour have recently released their third album entitled "Audio Secrecy." The album came out on Roadrunner Records at the beginning of September and have made a major impact on rock radio. The new album starts off strong with the "in your face" sound of "Mission Statement" and "Digital (Did You Tell)." Corey Taylor's vocals switch between signing and screaming in order to portray the song's full effects. The album's first single, "Say You'll Haunt Me" carries a more alternative rock sound that is sure to climb the singles chart. The band slows things up with the rock ballad "Dying" as acoustic guitars get traded for electric guitars for the song's strong finish. The band does show dashes of hard rock brilliance in "Let's Be Honest" and "Unfinished" before slowing things down again with the ballad "Hesitate." The band comes roaring back in "Nylon 6/6," but followed again by the slowed tempo of "Miracles." The album does carry a great hard rock sound, but the album's flow is too up and down to keep the energy flowing throughout. The album debuted at #6 on the Billboard Top 200 Albums chart and has hit the top 10 in a number of other countries. Stone Sour were on tour as part of the Uproar Festival, but have since headed overseas to headline a European tour that begins in October. For tour dates and more information on Stone Sour's new album, visit stonesour.com. 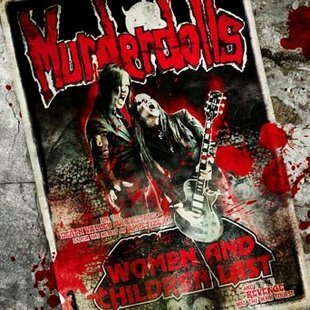 The Murderdolls return after an eight year hiatus with only their second studio album "Women And Children Last." The album was released on August 31 on Roadrunner Records. The band plays up their horror-movie lyrics with a grunge-punk sound that is not for the faint at heart. 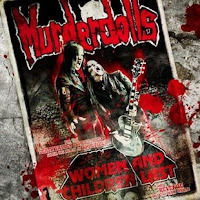 The music on the this latest release from Murderdolls is as energetic and ear-catching as anything else out there. It is amazing that the duo of Joey Jordison and Wednesday 13 performed almost all of the instruments on this album. Even though their large credit is guitars and vocals, the drums and bass are what motor the song powerful, yet disturbing (at times) lyrics. The song "Drug Me To Hell" has the right combination of evil, but effective lyrics and a sound that doesn't go overboard with the help of Motley Crue's Mick Mars on guitar. From that song on, "Nowhere," "Summertime Suicide" and "Death Valley Superstars" are an all out assault on the senses. The dark lyrics get pumped up by the grungy, yet blazing guitars and machine gun drum beats. The song "Pieces Of You" is a close as the Murderdolls will come to mainstream rock with their lyrics of mutilation. The album almost plays out as a homage to all of the dark, twisted horror movies that are too disturbing for the general masses. But, without taking the lyrics seriously, the music is more than enough to give this band your attention. 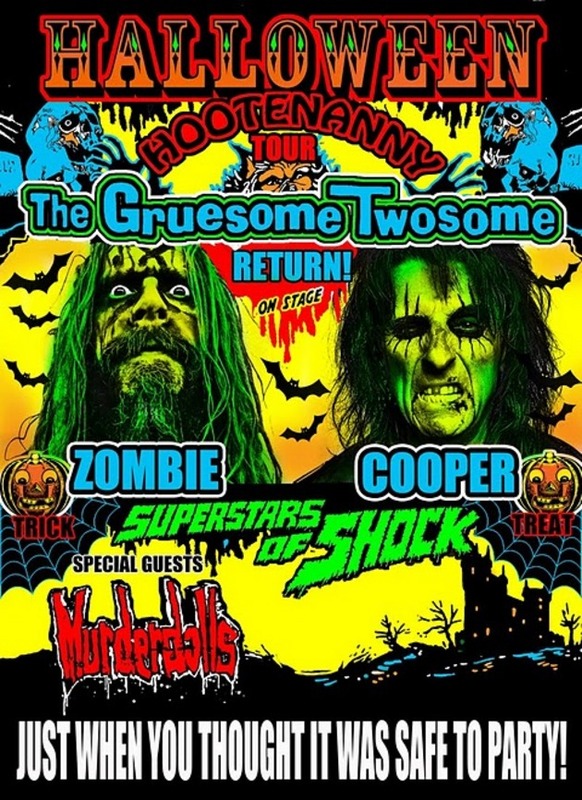 The Murderdolls are currently on tour opening for Rob Zombie and Alice Cooper. They will be performing at the Mohegan Sun arena on October 15. For more tour dates and album information, visit murderdollsband.com. CD Review: Cody Scott's New EP "For Sale"
Pennsylvania native Cody Scott recently released his new EP entitled "For Sale." This singer/songwriter has performed a number of cover tunes when performing live, but it was time for Cody to put his own words and music out there. The song "Runnin' from the Law" carries strong similarities to John Mayer's guitar pop sound, while Cody's voice is a bit rougher than that of Mayer's. Another song of Scott's "So Let's See" has a more modern rock sound with a strong chorus. Cody Scott has a few dates lined up for October in the Pottsville, PA area. 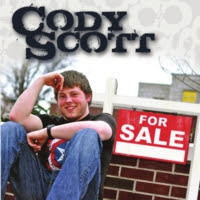 For a complete list of appearances and CD information, please visit codyscottmusic.com. CD Review: Dragonforce Goes Live With "Dementia"
The heavy "power" metal band Dragonforce have recently released their first live album entitled "Twilight Dementia." It is a 2-disc summary of their Ultra Beatdown world tour. Right from the album's opening track, you notice the duel speed guitar attack of Sam Totman and Herman Li. They, along with the double-bass drum pounding David Mackintosh and bassist Frederic Leclercq provide singer ZP Theart the energy of Dragonforce's signature sound. Both discs clock in well under 60 minutes, but manages to give the listener a small glimpse into the type of live show that Dragonforce provide their fans. Many of the band's well-known songs are here including "Heroes of Our Time" and "Valley of the Damned." With so many songs providing the energy this group displays each show, their most famous song "Through the Fire and Flames" is only an added bonus for people to get to know this band better. The only disappointment found on this release is the clarity of the recording. One would think that if specific show or shows are being recorded for a live release that the best in mobile technology would be used for the mix. But it seems at times that the guitars and drums fall low in the overall sound of this album. It certainly doesn't distract from the overall performance, but lacks the punch that this band offers it's audience. The album is available now on Spinefarm and Roadrunner Records. For more information on Dragonforce, visit the band's website dragonforce.com. 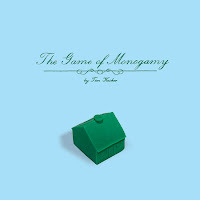 CD Review: Tim Kasher Plays "The Game Of Monogamy"
Tim Kasher will release his solo debut album entitled "The Game of Monogamy" on October 5. Tim is known as the frontman for such indie rock bands as Cursive and The Good Life. His new album almost plays out like a musical rock opera with the use of every instrument available at his disposal. The album's beginning orchestral overture gets pushed out by the alternative rock of "A Grown Man." The album's songs and story just flow together like one complete piece of music. The tempos change within songs to stress the lyrics. The acoustic "Strays" puts the focus on Tim' voice instead of all that's happening with the music. Tim's songwriting can be compared to that of Ray Davies of The Kinks during his 1970's rock opera days of "Preservation" and "Soap Opera." The use of horns and strings gives Tim's songs another dimension like in "Bad, Bad Dreams" and "The Prodigal Husband." Tim Kasher's new album will be released on Saddle Creek Records. 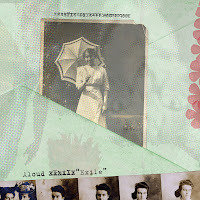 Visit saddle-creek.com to purchase the new album, find tour dates and more. 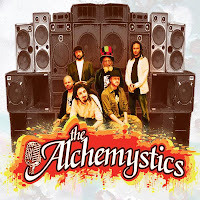 Massachusetts' own The Alchemystics are making a name for themselves in the New England reggae scene. The band has appeared a a number of festivals in the area including the Sound Sessions Street Festival in CT, the Nateva Festival in ME and the Strange Creek Music Festival in MA. The group is looking to release their new album at the end of the year. Their songs carry a positive message with an upbeat reggae beat. "Skateland" even has a bit of hi-hop thrown in the mix. The album's first single, "Type A Prayer" has lyrics that just flow with the reggae-dance beat. 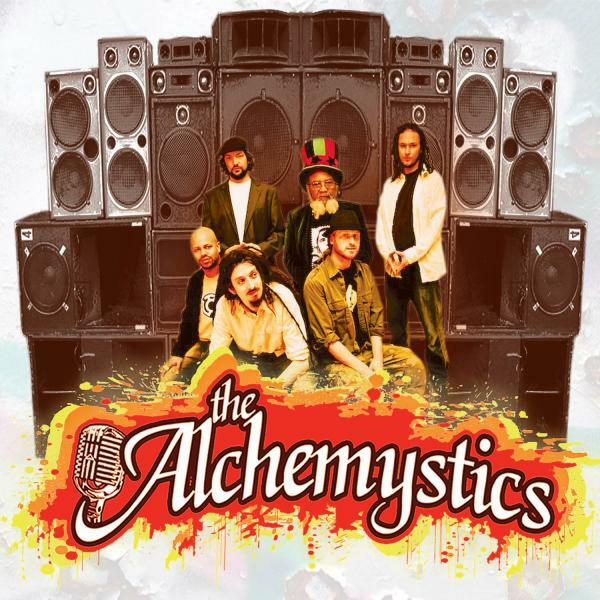 The Alchemytics have performed live on stage with likes of Stephen Marley and Michael Franti & Spearhead. They will be performing on October 8 at Sully's Pub in Hartford, CT. For a complete list of tour dates and song samples, visit alchemystics.com. The pairing of Zack Lopez and Sean Stockham have hit a few bumps in the road. When their first band called it quits in 2003, both took regular 9-5 jobs to get by, until they met up again three years later to create Middle Class Rut. 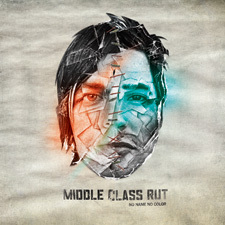 After four years of perfecting their sound with EPs and live shows, Middle Class Rut will release their debut album on October 5 entitled "No Name No Color." The steady build of the opening song "Busy Bein' Born" shows off the passion this duo has for their lyrics and sound. The tempo quickly takes off on "USA" and "Lifelong Dayshift" which surprises the listener that only two musicians are creating this full of a sound. The songs "On Debt Away" and "Alive or Dead" sound as if Jane's Addiction took a shot at heavy metal. The centerpiece of the album is the song called "Are You On Your Way, " a perfect combination of the duo's sound and lyrics. But, hard rock is where we feel the band's comfort zone in "Sad To Know" and "Thought I Was." The band experiments on the album closer "Cornbred" with a foot-stomp, clap-along that finds that simplicity is the key. The new album will be released on Bright Antenna Records. Also be on the look out for the band to tour behind this strong debut. Check out the band's website (mcrut.com) for more information. 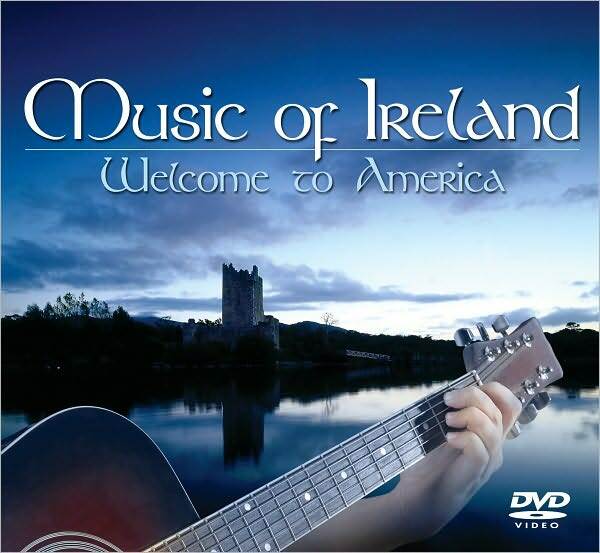 The Music of Ireland returns with their second documentary entitled "Music Of Ireland - Welcome To America." Following where "Music of Ireland - Welcome Home" left off, the documentary begins with Ireland's biggest musical export, U2. Seeing U2 very early in their career, makes you realize how, in a way, they opened the doors for many if Ireland's pop musicians to make the transition to America. Bono explains how once U2 made in America, they needed to look back at their Irish heritage in order to move forward in their careers. 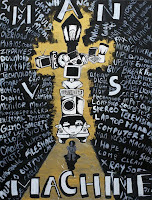 The different chapters of the documentary cover about every major act to come out of Ireland in the last 30 years. From U2 conquering America, the video moves on to the singer/songwriters of Ireland like Damien Rice and Oscar-winner Glen Hansard. An intimate and honest conversation with Sinead O'Connor gives us the impression that her heart was always in the right place. It covers her controversial Saturday Night Live performance as well as her appearance at Bob Dylan's 30th Anniversary Tribute Concert shortly after. The documentary also shows the breakthrough of such rock/pop acts as The Script, The Corrs and The Cranberries by showing historical live footage of each performer. The highlight of the DVD has to be the interview with Michael Flatley on the rise in popularity of his Lord of the Dance show explaining that it was one of the biggest selling shows in the nineties. Hosted by Grammy Award-winner Moya Brennan, the documentary explains that the future of Irish music looks promising with the rise in popularity of the Celtic Women and Dropkick Murphys. Also included with this DVD is a 5-song CD that includes music from Brennan, as well as Sinead O'Connor and The Chieftains. This DVD/CD package is exclusive to Barnes & Noble Bookstores. To purchase a copy, please visit www.bn.com and for more information on the "Music of Ireland" documentary, visit musicofireland.com. 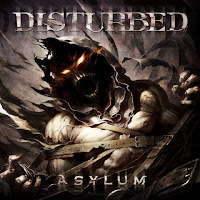 CD Review: Disturbed Bring Us To Their "Asylum"
Heavy metal band Disturbed recently released their new album "Asylum" on Reprise Records. The album debuted at #1 on the Billboard Top 200 Album chart. It is the band's fourth consecutive #1 album. According to lead singer David Driman, "Asylum" is a lyrically dark album that still captures their signature "hard-hitting" sound. The soaring guitar solo instrumental that begins the new Disturbed album comes to a crashing end with the force of the combination drums, bass and guitars. This aggressive sound just pours out of the album's first single, "Asylum." It displays the full-force and energy that this band put into all their songs. David Driman's vocals sound strong in "The Infection" and the "Warrior." "The Animal" brings up comparisons to their 2001 hit "Down With The Sickness" with its singing/screaming vocals and searing guitars provided by Dan Donegan. The subject matter in the song "My Child" shows the band's maturity in songwriting since their early days ten years ago. The album ends on a high note with the bass and drums powering the dark lyrics of "Innocence." Disturbed are currently on tour as part of the Uproar Festival. The band will be making their way back to New England at the end of October with a show at the House of Blues in Boston and Atlantic City. Disturbed will also be performing live at Toyota Presents Oakdale Theater on October 27th. For more tour dates and updated band information, visit disturbed1.com.